A Historic Survey Marker designating the geographical center of the City of Williamson. A historic survey marker on fifth Avenue close to the Harvey Street intersection designates the geographical center of the city of Williamson. 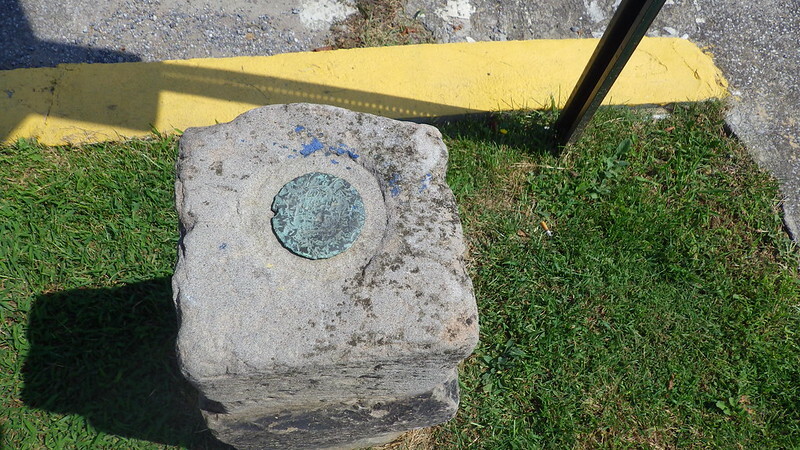 This is a very old survey marker located on the corner of Hospital Road and West 5th Avenue in front of the Hatfield McCoy house bed and breakfast. It is a unreadable brass or bronze disk set in top of a large piece of limestone that has been hewn into a square at the top. "Incorporated in 1905 by special charter of the Legislature. Several intervening charters have been enacted, the last a special charter, in 1933. City was named for the founder, Wallace J. Williamson, who at one time owned most of the land upon which the city is now located. Williamson was incorporated in 1892. 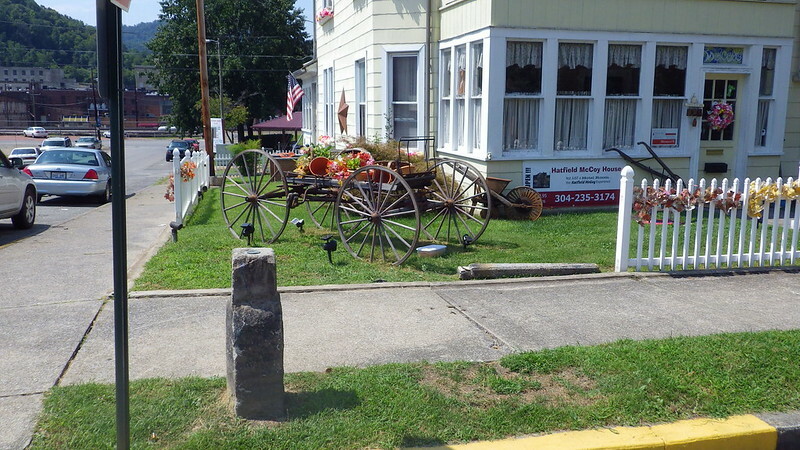 It was originally part of Logan County West Virginia. Williamson was originally also part of Montgomery County Va. until 1824 when it was changed to Logan County. In 1895 Mingo County was created from Logan County. Williamson stands along the North Bank of the Tug Fork of the Big Sandy River, part of the Kentucky- West Virginia boundary. The Norfolk and Western railroad arrived in 1892. The railroad came from Logan County through Dingess and Lenore. It followed the timbering into the area. . The town then had 27 residents. The railroad was extended to service 100 operating mines within a 20-mile radius as Williamson grew. Williamson was chartered as a city in 1905." This is one of the most interesting Benchmark type survey markers that I have found, and the oldest so far.